Have a friend who would enjoy working with a tutor? When your friend purchases a First Time Package (three 90-minute sessions, starting at $495) in any subject, we'll give you AND your friend an extra 1/2 hour, for free! 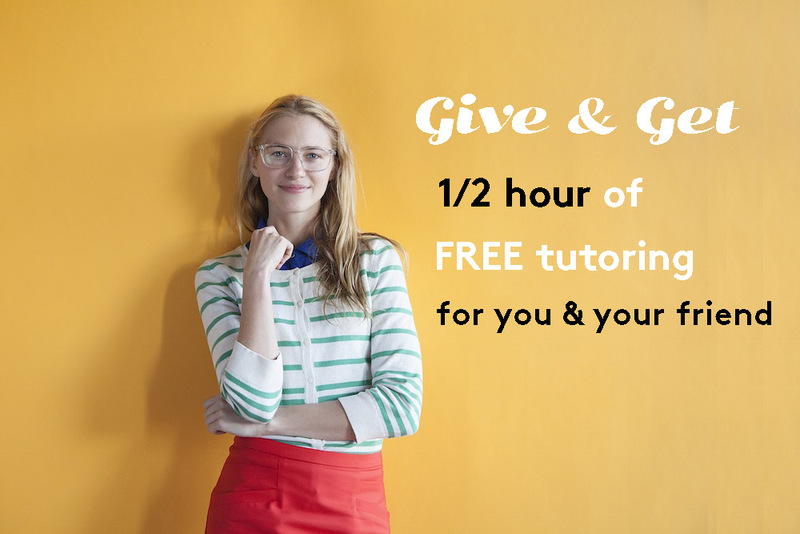 Give & Get Free Tutoring!